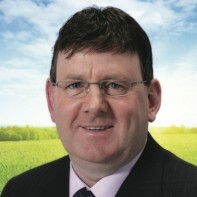 Ex-PD councillor Eddie Fitzpatrick is standing as an independent candidate in the Laois-Offaly five-seater. Fitzpatrick has served on Offaly County Council since 2004 when he was elected as a PD candidate for the Edenderry electoral area. He left the party in 2008 and was successful in his local re-election campaign in June 2009. Fitzpatrick runs his own farming and agri-sales business. Best of luck Eddie! A good guy with a real passion. I can’t believe myself, and actually consider voting for an ex-PD. On your turf-cutting rights – what exactly are your policies and ideas?